Brian O'Donnell Quality Home Improvements has been the preferred East Granby roofing contractor since first getting started back in 1978. This is partly because of the approach that we take to taking care of the needs of our customers. This is about more than just providing great service and results; it is about treating each customer the way that we would want to be treated. Brian's approach is to do more than just take care of the task at hand, it is about building long term working relationships. The customers that we take care of are also our friends, neighbors and fellow community members. It is also essential to offer all of this quality work at a more than fair price. Brian feels that there is no substitute for quality work and craftsmanship and this is something his entire team stands behind. So when you give us a call you can feel confident knowing we will provide you with the best work and results possible. Don't just take our word for it, call now and let us show you in person. Your home is your biggest investment, so it only makes sense that you would want to take the best care of it possible. It just so happens that your roof is the most important part of that investment. This is what protects the entire rest of the structure and the people and property inside. Yet so many homeowners take a gamble with the so-called professional roofer in East Granby, CT they hire to take care of the most important aspect of their home. We have been to one too many jobs that someone just had work done but the work turned out to be shoddy. Make it a point to make good choices about the roofing contractor you hire so you can always have quality work done. The important thing to keep in mind is that not all roofing contractors in East Granby, CT are the same and this is evident from the quality of work you get. The average asphalt shingle roof should hold up for approximately 20 years, but it all depends on the level of quality and care that goes into your rooftop, right down to who you choose to take care of it. 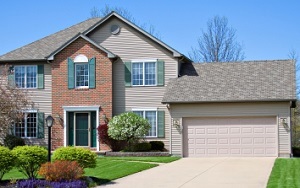 Our focus is on providing you with the same level of work we would put into our own roofing. There is no aspect of your roof that we will not take care of. Give us a call today in order to get started. 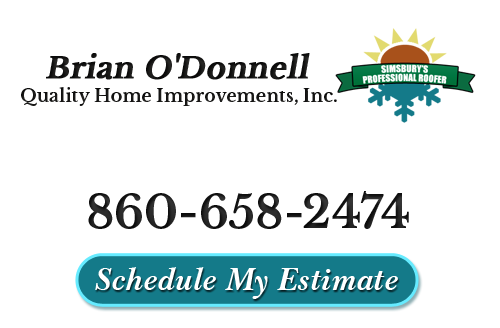 Brian O'Donnell Quality Home Improvements can also take care of skylight services for you. From installation and repairs to replacement and removal. Skylights in East Granby have gotten a bad rap even though it is usually the work that went into installing them in the first place that is to blame. Whatever the case may be, don't live with any aspect of your roofing system that is in need of repairs or service. We can make sure that you get anything done that you need and make sure that the quality of work is top notch. So give our East Granby roofing contractors call today in order to get started. "It was a pleasure working with you and your crew. It was a job very well done!" "Thank-you so much for everything. The roof looks fantastic and the guys did wonderful work. They didn’t interrupt our schedule at all and were always pleasant even with some of the very long days they put in. We also appreciate all your prompt feedback and work, it made the whole process smooth and seamless." If you are looking for a professional East Granby roofing contractor then please call 860-658-2474 or complete our online request form.